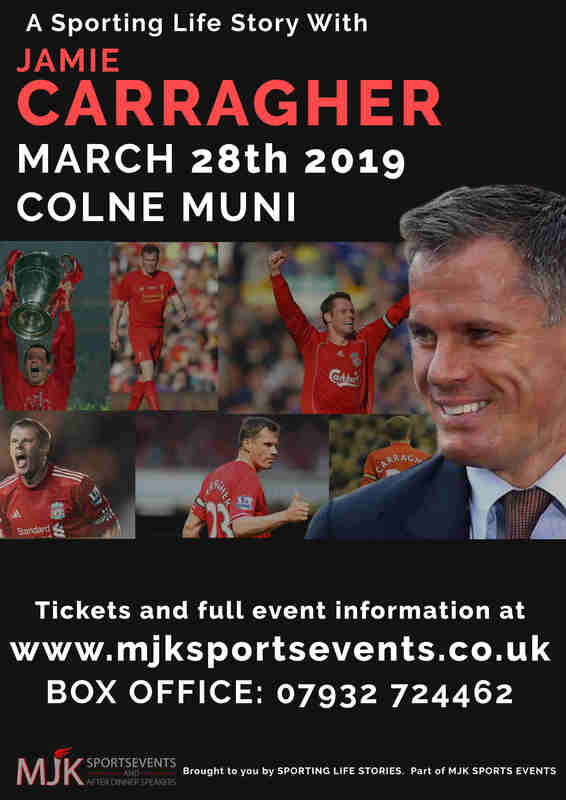 bring you an evening with Liverpool FC legend JAMIE CARRAGHER. man himself as he is interviewed on stage by Sky Sports very own Pete Graves. as we pay tribute to the Liverpool legend with a fantastic entrance video. The night will finish at 22.40.